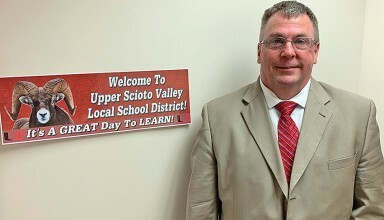 McGUFFEY — Craig Hurley, K-12 principal and interim superintendent of Upper Scioto Valley Schools, doesn’t view his service to the district as being the same as those who serve the public for little or no money. 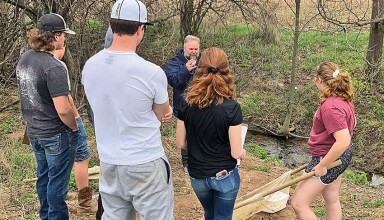 But all the same, Craig, who has spent all 25 years of his career in the district, is proud to be able to lead his alma mater. 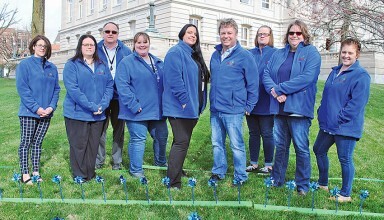 Members of the Public Children's Service Agency at Hardin County Job and Family Services placed pinwheels on the courthouse lawn in honor of National Child Abuse Prevention Month. 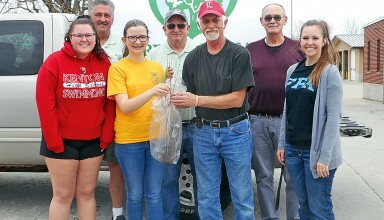 DOLA — Students in Jessica Cano’s Art 3 class at Hardin Northern School recently took part in a project designed to bring smiles to children’s faces around the world. 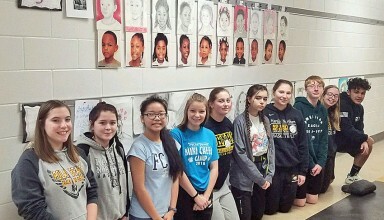 “The Memory Project,” developed by a national non-profit organization, asks art students to create portraits of children who are facing extreme challenges in their lives, as a way to promote kindness and to help these children feel valued. 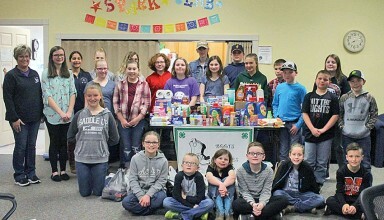 Boots and Buckles 4-H club met on April 15, where Issac Anderson led the club in the pledge of allegiance and Cain Sullivan led the 4-H pledge. 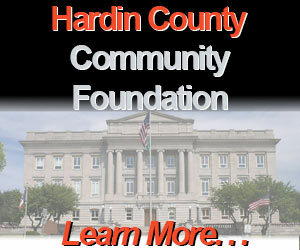 Donations of toiletries and non perishable items were given to Safe Haven. 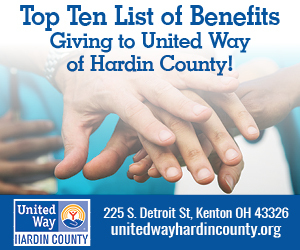 The calm, spring pre-dawn morning of April 21, 2018 was broken in Kenton by the wails of sirens as more than 10 area departments responded to four separate fires in the southwest section of the city. 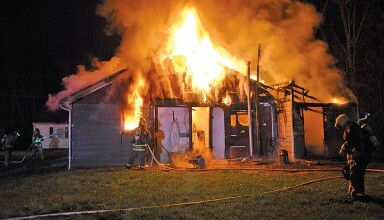 A vacant house on Walnut Street was heavily damaged by fire, as was an occupied mobile home on Leonard Street. Less damage was reported at a house on S. Leighton Street. For weeks or even months, we’ve all been waiting for the day that Grandpas would come with plans to stay for a few weeks. The day had actually arrived. Excitement reigned on all sides. "How long do we have to wait until Dawdys (the German word for Grandpas) get here?” Austin asked for the tenth time. The minutes were on a count down. “They could be here in two minutes,” I informed him. 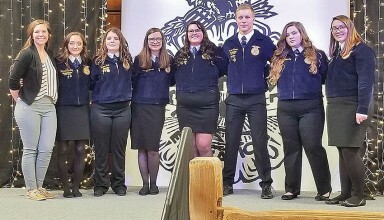 On Saturday, April 13, the Kenton OHP FFA chapter hosted its 85th Annual Banquet. The banquet serves as a way for the chapter to recognize, celebrate, and present awards from the year. 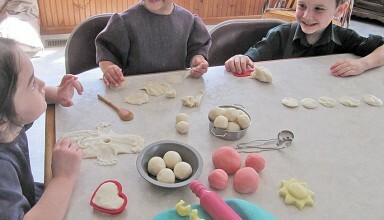 For many years, the First United Methodist Church’s Christian Preschool has sponsored a Trike-A-Thon to raise money for the St. Jude Children’s Research Hospital. 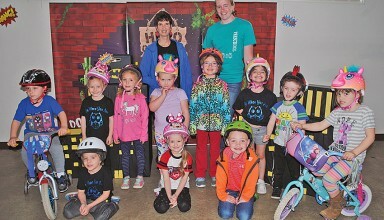 This year’s young riders raised money for the charity with a Super Hero theme.